Helen, you are a truly inspirational person! My beautiful daughter, Hannah, was born 6th March 2014 by emergency C-section. We had already booked our first “family” holiday to the South of France for the first week of September. Panic set in as the months passed by and I was becoming increasingly frustrated by the fact I had not shifted my “baby weight” and my husband and close friends were starting to refer to me as “Vikki 2 bellies”! I recalled seeing a lady in Abington Park leading a group of mums with buggies. I did a Google search and found Helen. Too embarrassed to do any exercise in a group, I contacted Helen about 1:1 personal training. Helen seemed very knowledgeable about post-natal exercise and the precautions I needed to take. I very nervously agreed to a free taster session with Helen. 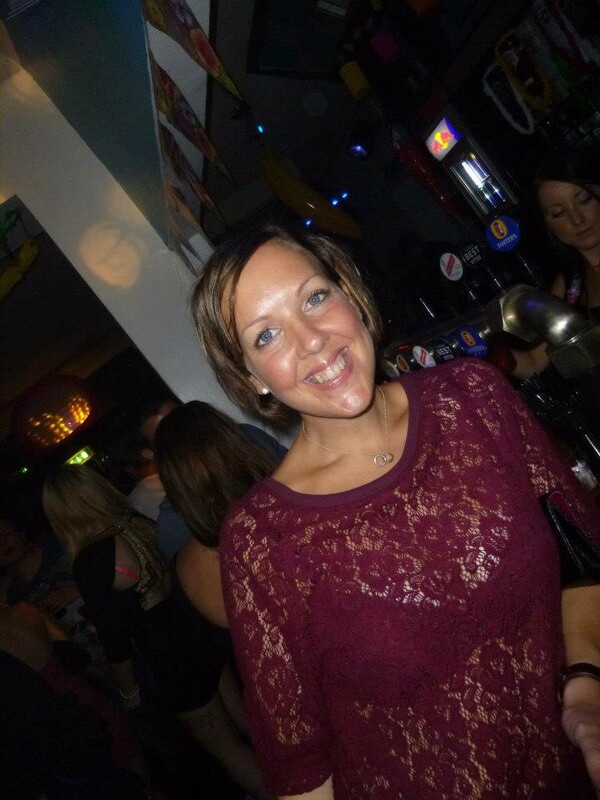 Helen is extremely knowledgeable about exercise, nutrition and particularly post-natal exercise. I signed up for a 6 week training package. The great thing was that if I was unable to get a baby sitter for Hannah, I could take her with me to the sessions or even do the sessions in my living room. In my first 6 weeks, I lost all my “baby weight”, my second belly was considerably reduced in size and I felt amazing. I never thought exercise could be so much fun. Each session was different. Helen is a fantastic motivator. I have now progressed to a maintenance plan and will continue with my 1:1 sessions, which have become an essential part of my new lifestyle, even when I return to work after Christmas. Thank you for helping me BELIEVE in myself and improving my self-confidence. I can't reccomend Helen highly enough. Earlier this year after having 3 months off work and therefore exercise (as I cycle to work), I decided it was time to set a goal and get fit. The goal was Tough Mudder, a 12mile obstacle course. Helen supported me every step of the way, tailoring every single session to my own abilities on the day. Always pushing a little to get me to my goal. As the proud parent of a 9 month old baby there were times when he had to come with me for my sessions. Helen devised ways to keep baby entertained and part of the session, while still ensuring it was sufficiently challenging for me. As my fitness and strength grew so did baby - the perfect way to up the resistance and build my strength further! I am now the proud owner of an orange Tough Mudder finishers' headband. 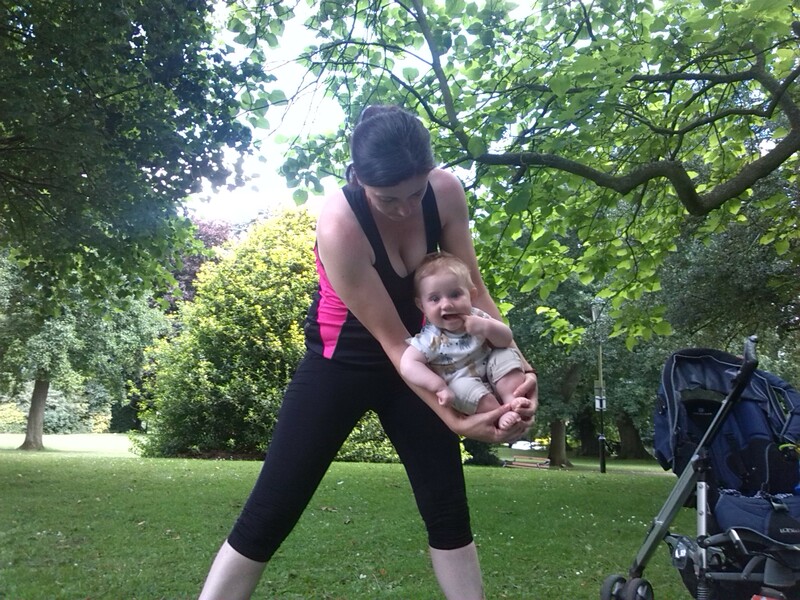 I've been doing Helen's BuggyFitness Fun classes for the last 6 months (since my baby was 12 weeks old) and now attend twice a week where I can - I love the feeling after a class and my son has a giggle watching me jog round the park whilst relaxing back in his buggy-feet up! 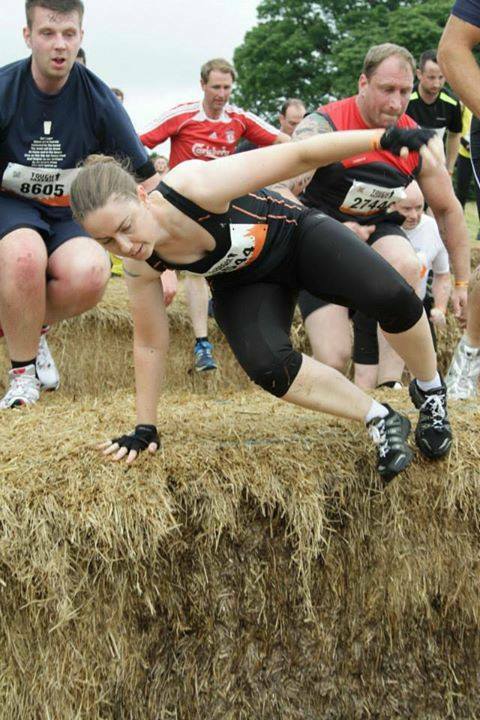 Helen caters for all abilities and can adapt any exercise if you have specific needs. I suffered badly with my back during labour and these classes have slowly strengthened it! I'm ready to progress to the next phase of Buggy Fitness now - Bring it on!! Exercise Phobic to Gym Freak in 3 weeks! I took out a gym membership in January 2013. I had every good intention of getting up at 5.30am 3 times a week to do a workout before starting my day at work. In 15 months, I managed to do this TWICE! I would religiously set my alarm for 5.30am and would have great delight in pressing the snooze button almost every time. I was desperate to do something about my weight. However, as I was not exercising, I could not see the point in trying to eat healthily as I was never going to lose weight anyway. There was the odd time when I would try the latest EXPRESS diet around, so I tried Atkins and became hooked on sausages. I stuck this out for a couple of months and actually lost 2½ stone in weight. However, I got bored and fell back into my old eating habits. I very quickly piled the weight back on, plus an additional ½ stone. I tried “Celebrity Slim”, but found after 2 days I wanted something to eat – those meal replacement shakes just didn’t cut it for me. I decided the only way I would ever do any exercise was if somebody came to my door a couple of times a week so I had no excuse. I did a Google search for a female Personal Trainer, which is when I found Helen. I arranged a free consultation with Helen at my house and we discussed my previous failed attempts to shift the weight. Helen was very understanding and seemed to know what I had been going through. I needed to get started as soon as possible so booked my free taster session for the next day. I was extremely apprehensive as the time of my session arrived. I often wear sack-like clothes, always black and often with a scarf to hide the worst bits. I knew there was no way I wanted to run as it just felt so uncomfortable. The doorbell went and the time had come. Helen was very supportive and helped put me at ease. We decided to exercise in the privacy of my back garden as I did not feel comfortable being seen in public. I am now 3 weeks into my initial 6 week training programme and I’m delighted with my progress. I have lost just over 1 stone and dropped 2 dress sizes. I never feel hungry and really enjoy my twice weekly exercise sessions. I never knew exercise could be so much fun. Each session is different and yes, Helen makes me work hard but if I can continue to get these AMAZING results, I am well on target to hit my 4-5 stone weight loss. I can't recommend Helen highly enough. She is extremely knoweldgeable with her exercise choices, training methods and nutritional advice. I will certainly be continuing for the foreseeable future as I have been converted from an exercise phobic to a fitness freak! I love it and can't wait to review my new body in another 3 weeks' time. I Feel so much more motivated! Before I started personal training I did NO exercise what so ever! My job is very sedentary, I am either in front of a laptop, in a meeting room or driving somewhere with very little movement in-between. I had started to put weight on, have unsettled sleep and become conscious of how inactive I was. I guess my only fear in starting personal training would have been to feel inadequate so I made sure I found the right trainer to sign up with. I specifically chose Helen as she advertised as someone that worked a lot with women over 30 and I felt that she would help me target areas of my body I was uncomfortable with and also understand why after a week of dieting and exercise I might not have shrunk to a size 10 like I used to!! Helen happened between then and now! My first session with Helen was an assessment and I honestly felt like my mind knew what I needed to do but my body just couldn't do it! Helen persevered with me, offering words of encouragement and reminding me that this was my starting point which really helped me focus. After 4 weeks' training with Helen twice a week I've re-done the initial assessment and all areas of my fitness and stamina have improved. I've also lost inches and had people tell me they can see weight loss and I'm over the moon! I've just signed up for another 4 weeks with Helen and can't wait to see the results at the end of that! I feel so much more motivated, I've signed up to complete the 26 mile MoonWalk in May 2014 and have even booked a class at the gym to attend tonight! I'm sleeping better and am so much more conscious of what is going into my body. Sue's Story - Truly Inspirational! In May last year a routine mammogram showed I had breast cancer. Luckily it was in the early stages and hadn’t spread. I had surgery to remove the tumour and a lymph node, followed by three weeks of daily radiotherapy. With support from family and friends I coped very well and considered myself very lucky. 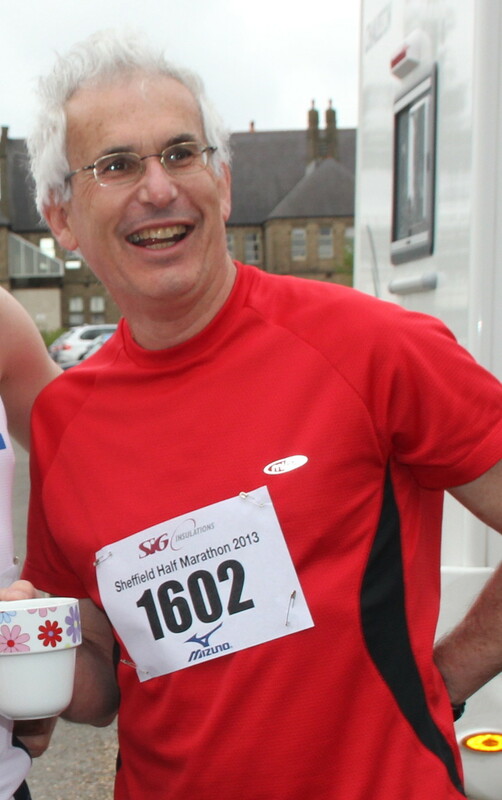 My daughter and some friends ran the race for life and as I watched them I decided I wanted to take part in 2013. I had belonged to a couple of different gyms over the past 12 or so years but never thought I could jog/run for more than a few minutes. By the end of July having had 3 months off work, done no exercise and spending a lot of time going out for lunch, coffee etc I had gained half a stone in weight. I saw a photograph of myself and really didn’t like what I saw. I joined a slimming club and slowly started to lose weight. At one of these meetings Upton Joggers was advertised, I also recalled seeing it in the local village magazine. My initial thought was I would love to do that but I am too old (sixty) and fat (about 4 stone heavier than I was in my thirties). The more I thought about it the more I wanted to give it a try to see if I could do it. I mentioned it to my daughter who encouraged me to join. As the first Sunday came round I decided that if I rang and asked if there was an upper age limit I would have committed myself to going and then wouldn’t be able to lose courage. I rang Helen on the Sunday morning and was told there was no upper age limit. Feeling fairly apprehensive I got ready to go, it was pouring with rain and cold and I did wonder if I had gone mad. When I arrived I had a friendly welcome from Helen and the other joggers. I thought I would be much older and fatter than everyone else ( I had lost almost a stone since the summer) and was pleasantly surprised to meet a mixture of ages and sizes and if I remember correctly we did far more walking than jogging, was it 30 seconds jog followed by 3 minutes walk? Despite the bitterly cold rain I really enjoyed myself. During the week I visited the gym and ‘practised’ jogging on the running machine. I spent several weeks doing this, slowly gaining confidence until one Sunday there was only one other jogger who was much younger and thinner than me. We started off and I just thought I should see what I could do and when Helen suggested we walk for a few minutes I said “no I want to keep going for half an hour without walking” I hadn’t planned to say it, it just popped into my head. 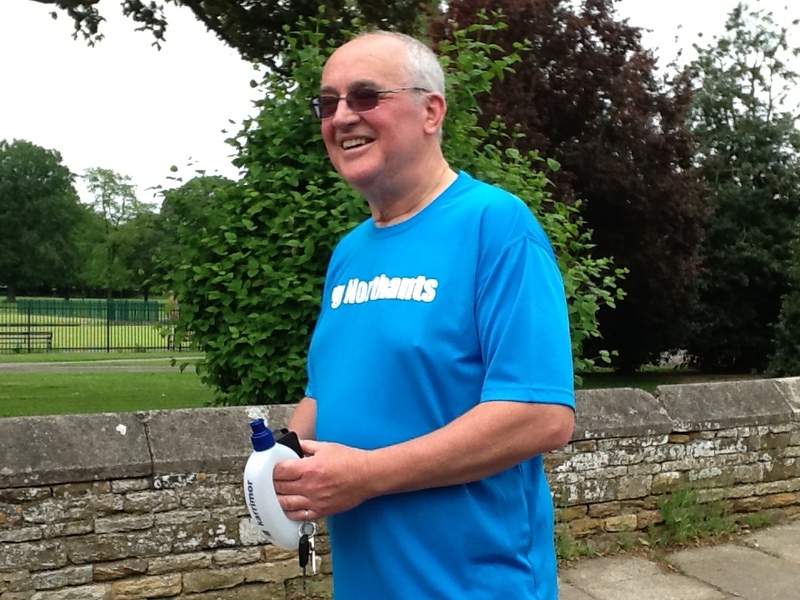 With lots of encouragement from Helen I managed to keep jogging slowly for half an hour. I felt really proud of myself and my family were quite surprised. I also had a text from Helen later that day congratulating me on my achievement. This Sunday will be the first week I will not be going to Upton but that is because I am doing the Race for Life in the afternoon. I plan to jog the course and enjoy the atmosphere as well as raising some money for the fight against cancer. If others hadn’t supported this and other similar charities over the years I might be in a much less fortunate position now. I am now two stone lighter than I was last summer, two clothes sizes smaller and feel much fitter and more agile. I think the jogging has really helped me achieve this. I try to do some sort of exercise at least three times a week either in the gym or a jog for at least half an hour. The people in the Upton joggers group have changed over the time it has been going and I am quite proud of the being one of the original members. I still tend to be at the back of the group and occasionally walk the odd 50m or so especially when it is warm but keep going for almost an hour. Although the group has changed everyone is still very friendly and encouraging. One of my next goals is to try to get my GP to reduce the amount of medication I take for raised blood pressure, I would also like to improve my speed but I suppose if you don’t take up the sport until you are sixty you are not likely to become an elite runner! Before I'd started the Fitness & Fat Loss Boot Camp (Smash The Fat), I was a mess, I'd put on 3 stone in as many years and was feeling decidedly fed up. I felt huge, none of my clothes fitted, I had no energy and was constantly bickering with my hubby. I was a bit worried that I wouldn't be able to keep up with the other people in the group. But mainly just wanted to get started. I found the first week really tough, my legs ached and I found the stairs and getting in and out of the car a struggle, but strangely I actually quite liked the feeling, at last I was doing something about my weight and the pain would be worth it in the end. I had already made the decision to eat more healthily before I joined and had lost half a stone but had come to a standstill (I actually like all the healthy foods just as much as the naughty ones, infact I like everything except fennel!!!) so I didn't find the nutrition side too difficult to stick to. I havn't quite managed the fast day yet, but have cut out my evening meal on the day I should be fasting! I've noticed a huge difference in my energy levels, in fact I have been known to hoover at 9pm when I get in from class, so instead of being asleep in front of the telly I am happy to just carry on. My clothes look much better on me, my whole body looks a lot more toned, I've lost weight but more importantly inches and my cellulite has almost disappeared (well according to my hubby!). Can't get much better than that after just 5 weeks! I have lost 11 lbs, and I think 12 inches in 5 weeks, and that's not bad bearing in mind I've celebrated both childrens' birthdays in the last week and that would usually mean adding around 5lb. I'm much happier in myself and have so much more energy, I wish I'd done this years ago. Before joining the Fitness & Fat Loss Boot Camp (Smash The Fat), I felt uncomfortable with myself. The way I looked and felt not only in my clothes, but also in myself. For example, I was often fatigued, felt that I moved much slower than I should, I was out of breath just going up a flight of stairs and other people were concerned about my health and appearance. My biggest concern before starting Boot Camp was commitment. I worried that I would not make all the classes, but with a little forward planning, I was able to. I also worried that I would be the fattest and slowest person, but the other group members and the support provided by Helen meant that these fears and worries were unfounded. Helen, in particular has gone the extra mile. I started by reading through the documents that Helen emailed, including the recommended nutrition plan and planned my week ahead. I changed certain eating habits, for example, at first I gave up eating cheese and onion crisps and pasta (mainly lasagne), just for a couple of week and began exercising. I found that just within those two weeks, I felt healthier, fuller and had more energy. I also lost weight. This motivated me to continue eating in a healthier way and to continue with the exercises too. Once my clothes began to fit better and other people commented on my weight loss, it was more difficult to go back to eating junk food and to miss an exercise class. Every so often I do have crisps and lasagne, but I never feel guilty and I actually enjoy these more now than ever before. I know that I am in control of my eating and so long as I continue exercising too, I continue to lose weight. I have already lost 12lbs in weight but I would like to lose another 9lbs over nine weeks or so. Sometimes I lose a pound and sometimes I gain. I am not worried because I now know what to do to get the results that I want. I feel much better about my current and future health. Getting control of my eating has given me increased confidence in losing weight and the exercise provides more than the physical energy expenditure. The classes provide structure, routine and tremendous fun. I do not feel as if I am depriving myself of any food, which was an initial worry, as I do not believe in diets. However, the nutrition plan is not a diet, it is an education of nutritious, tasty and easy to cook meals that everybody actually enjoys (family and friends have tried and liked these too). There are also treat recipes for a sweet tooth, that include dark chocolate and these can be frozen. That’s important to me, as I was often munching on bars of chocolate, and then feeling guilty. I now much on chocolate crunchies that I have made myself. I had been running regularly for over 20 years and had begun to participate in half marathon events in the most recent three years. Following a disappointing result in May 2012, I saw one of Helen's leaflets, called her up and agreed a personal training programme. Other than my capability to commit to a continuing series of PT sessions and the achievement of the goals Helen and I had defined, I had no real concerns. Over the past year I have worked with Helen on a weekly basis, almost exclusively outdoors, on an imaginative but demanding training programme intended to build core strength and endurance specifically designed to improve my half marathon time. My time for half marathon, on the same course and exactly one year from my earlier unsatisfactory result, improved by a massive 14 minutes! Times over shorter distances - 10k and 10 mile have improved equally dramatically and I have a much improved ability to sprint. Right now, I feel unstoppable! Helen's weekly PT sessions combined with a couple of other training classes and training/fitness runs have made me feel generally much fitter and stronger - and I actually enjoy the training sessions and classes! I have lost some excess weight while continuing to enjoy eating and drinking what I want when I want. As I approach my 60th birthday later this year, I wonder why I didn't do this earlier! At nearly fifteen and a half stone even getting out of a chair was taking a little effort. Putting my socks on whilst standing up was never going to happen! And it was only ever going to get worse. I had no fears nor worries about joining Smash The Fat. I was concerned I might find it too hard or not manage to keep up with the other members. Since starting in November, I am now down to 12 stone 12 pounds. I’m now more active, have less of those aches that I thought were just part of getting old. I now want to stay active and hit my target weight of 12 ½ stone. I’m at a stage where my diet is more of a choice than a regime to lose weight. It’s nice to choose clothes where I don’t feel I need to hide the size label. Exercising is now fun and enjoyable rather than a chore or a hardship. Bring it on! "I now have more stamina, energy and strength then I have had for years"
The learn to Jog Course was advertised on our internal staff bulletin in December 2012 at a time when I knew I should be doing something about losing weight but more importantly, to become fitter and more active as my life style was very sedentary. I found I lacked energy, walking up stairs left me breathless and dizzy and I was becoming apathetic about tackling any physical activity. My initial concerns were about whether I could manage to run any distance at all and that there would be other much fitter athletic types on the course and I drop out on day one! It transpired of the group of 10 we were all equally unfit. 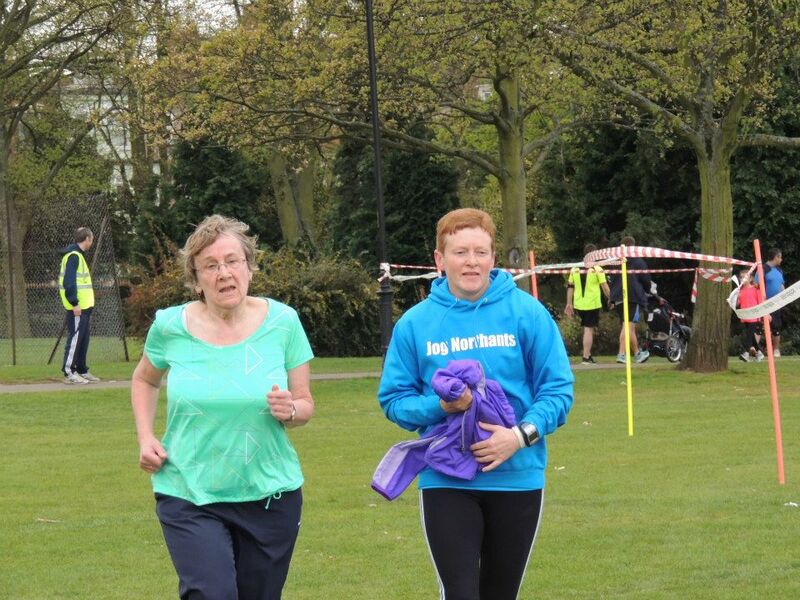 Thanks to Helen’s encouragement, enthusiasm and commitment I slowly built up an ability to run further and further each week, her inventive approach to using different aspects of the park prevented boredom and created new challenges. Without knowing it I became fitter and fitter whilst having fun with a great group of people, all encouraged and supported by Helen. I now have more stamina, energy and strength then I have had for years, and because I feel so much fitter I have joined a gym, lost weight, look and feel well. Surprisingly, I have developed an interest in running and enjoy it to the degree if I don’t go out I genuinely miss it! I have reassessed my diet and changed the type of foods I eat and again feel better for it. Since joining the Learn to Jog Course my approach to exercise and fitness has changed considerable, previously I would have not considered it but now enjoy exercise and look forward to going to the gym or joining my new found friends for a run around the park.